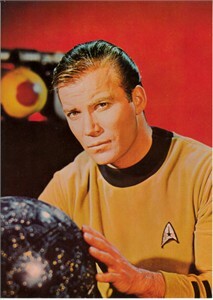 Star Trek Original Series 5x7 inch officially licensed photo card featuring William Shatner as Captain Kirk. Back is blank, produced in the late 1980s or later. ONLY ONE AVAILABLE FOR SALE.